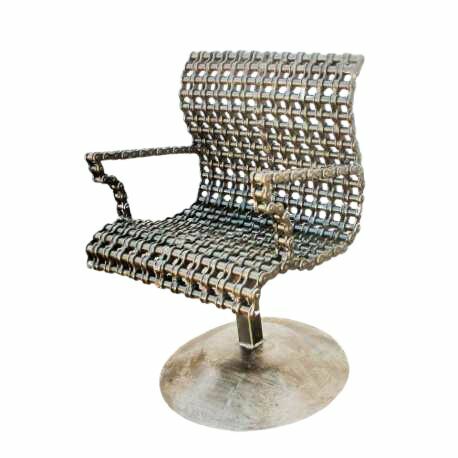 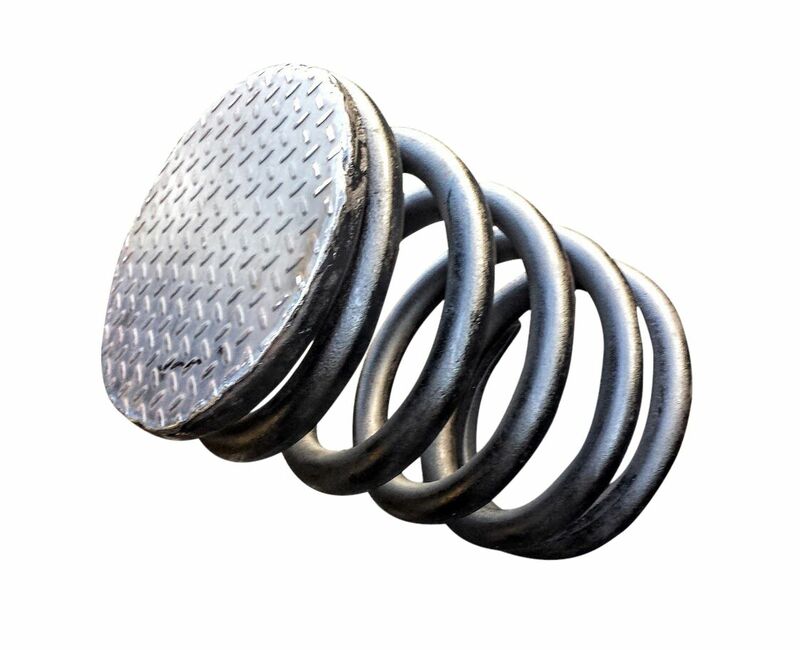 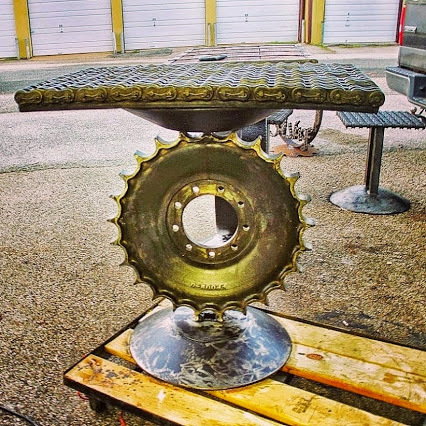 Metals used to make our products sustainable and durable to last many years. 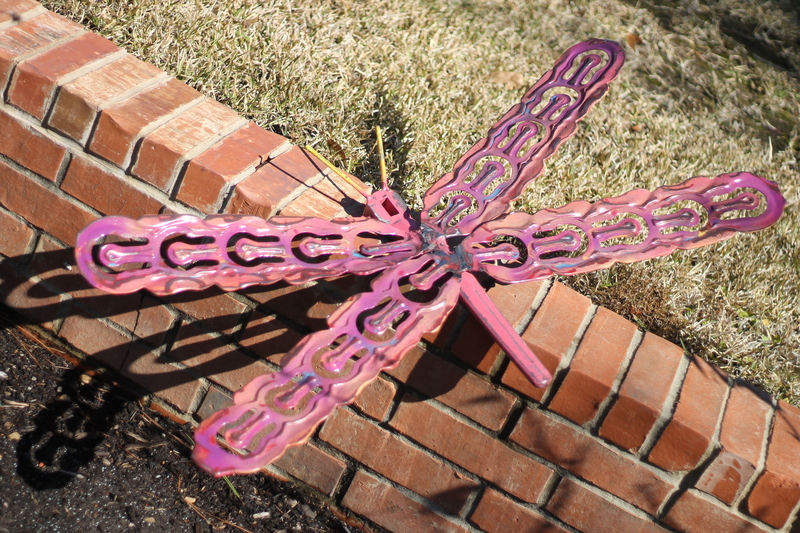 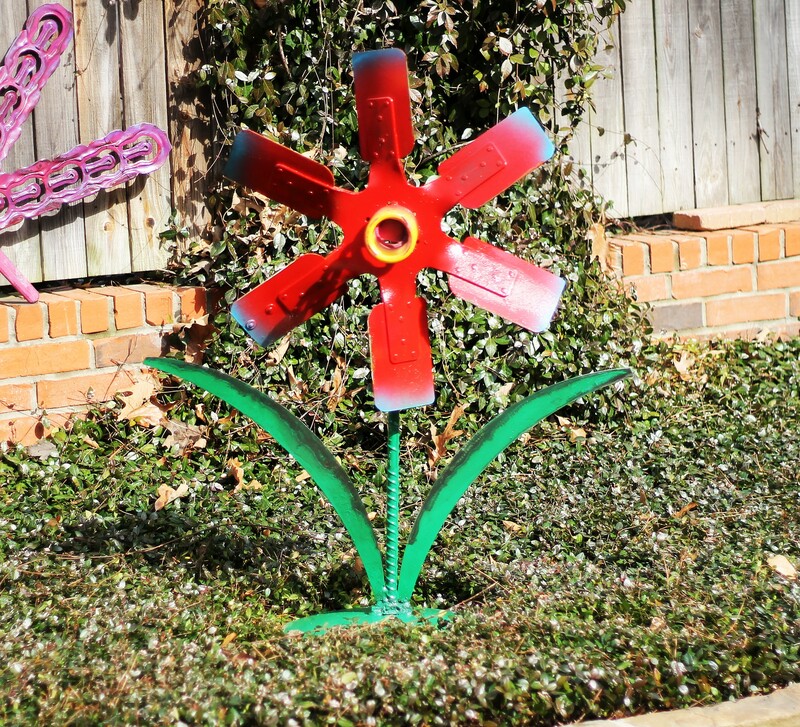 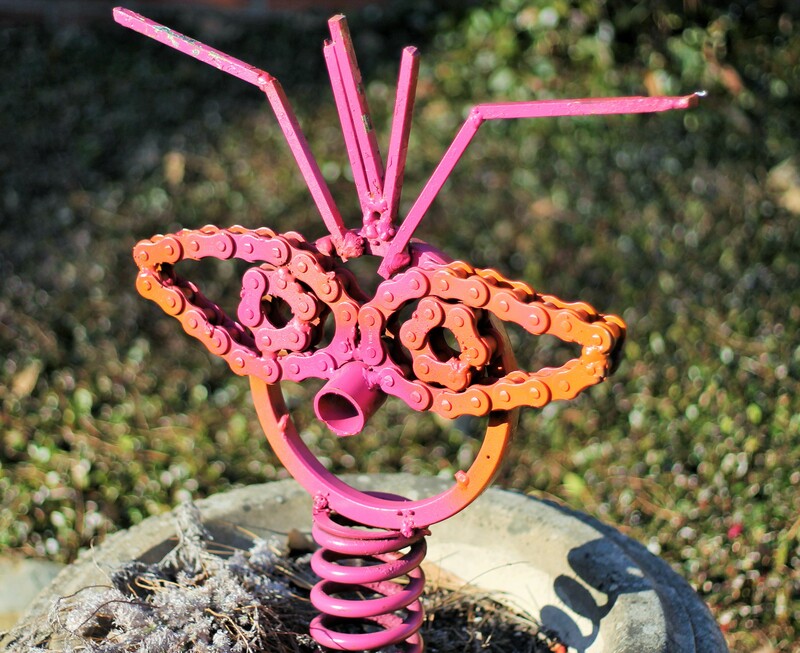 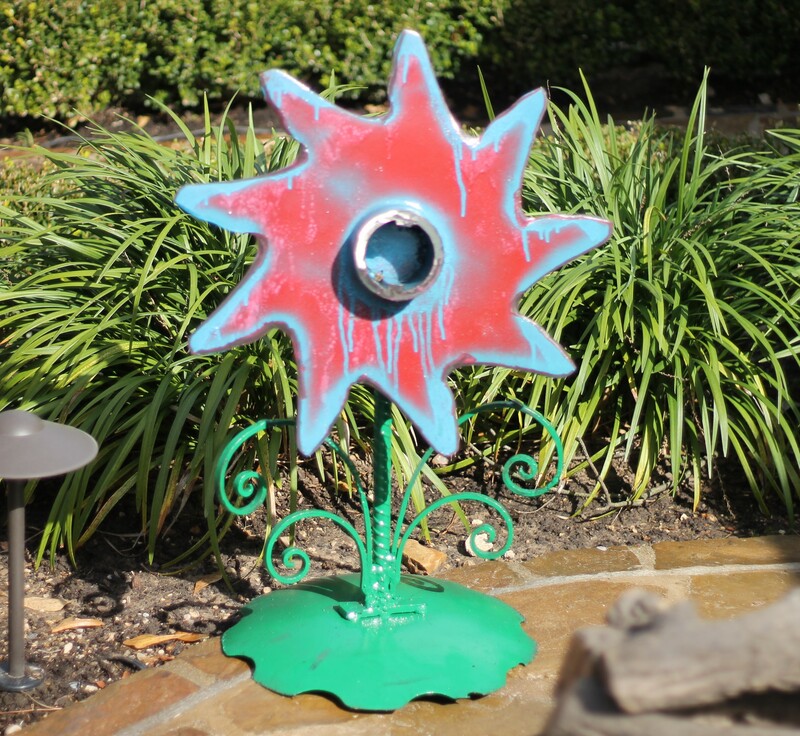 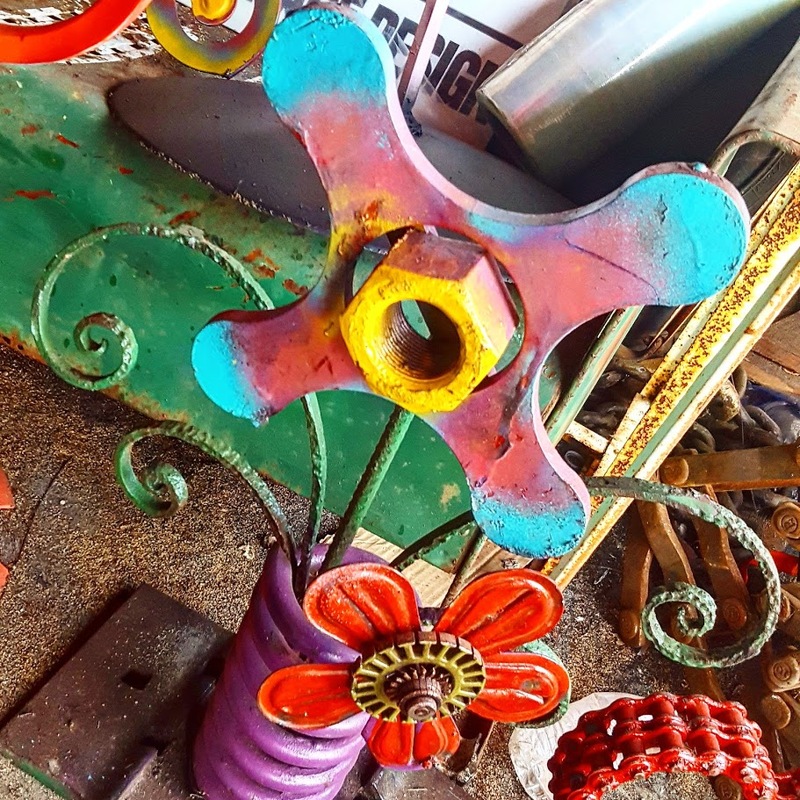 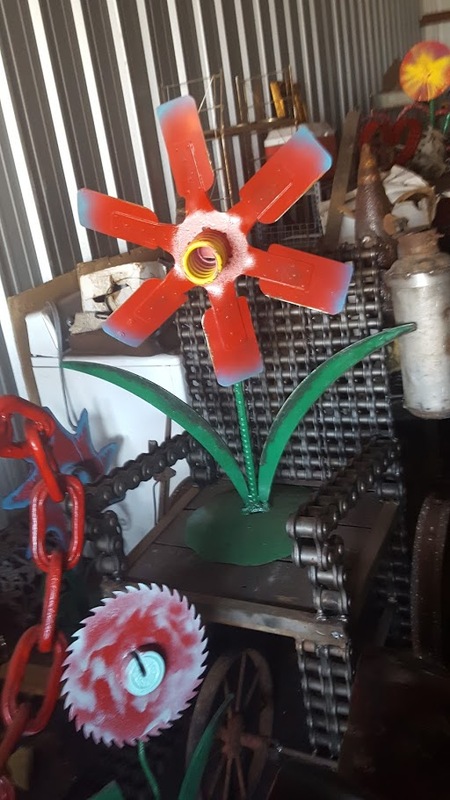 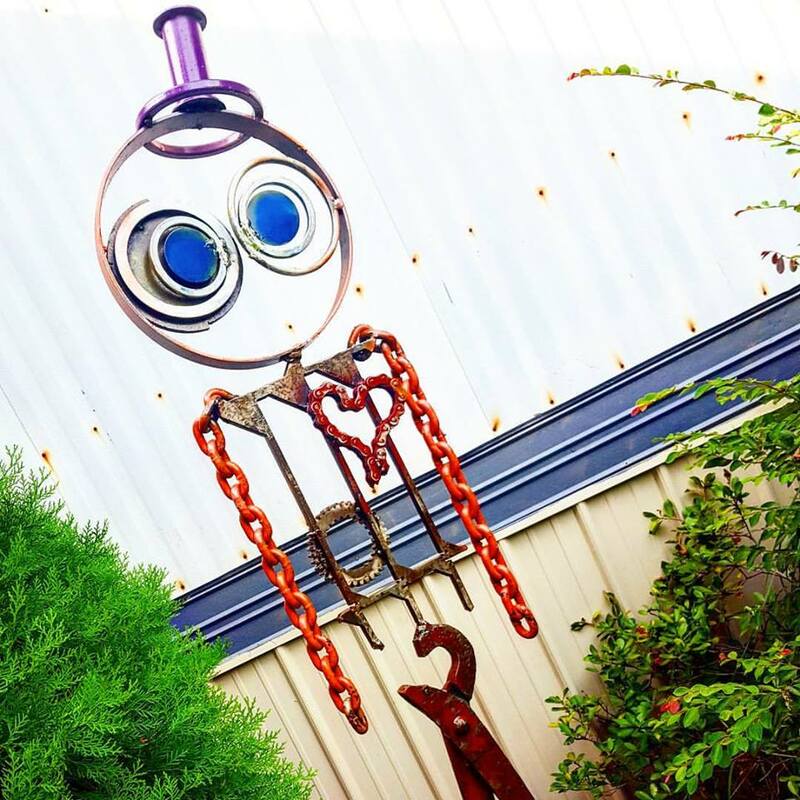 Whimsical Purple Metal Flower Outdoor Sculptures Art Garden Decor Artwork made of metal and found objects, perfect ornate ornament to decorate your spring garden, backyard or patio. 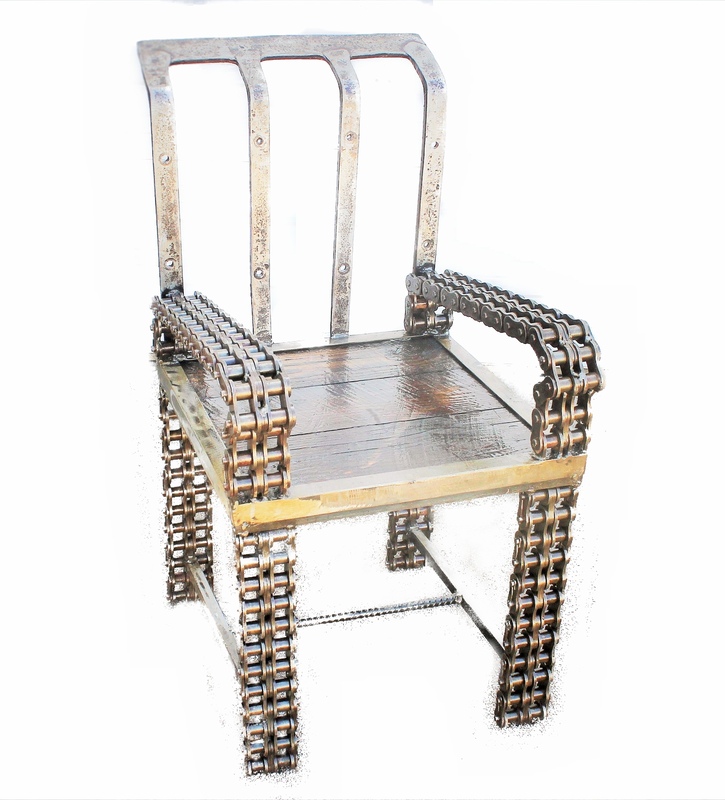 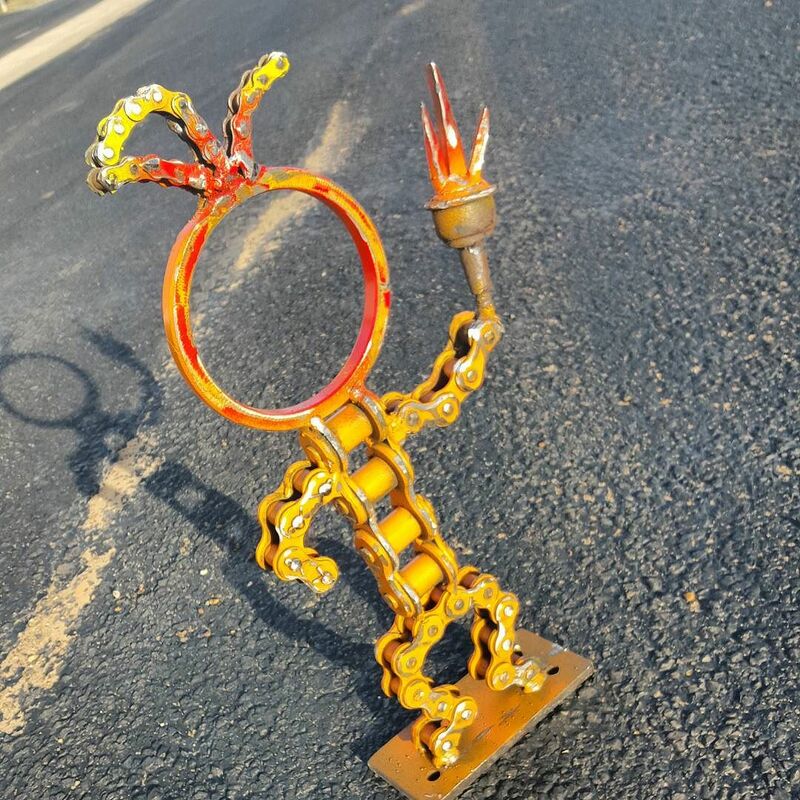 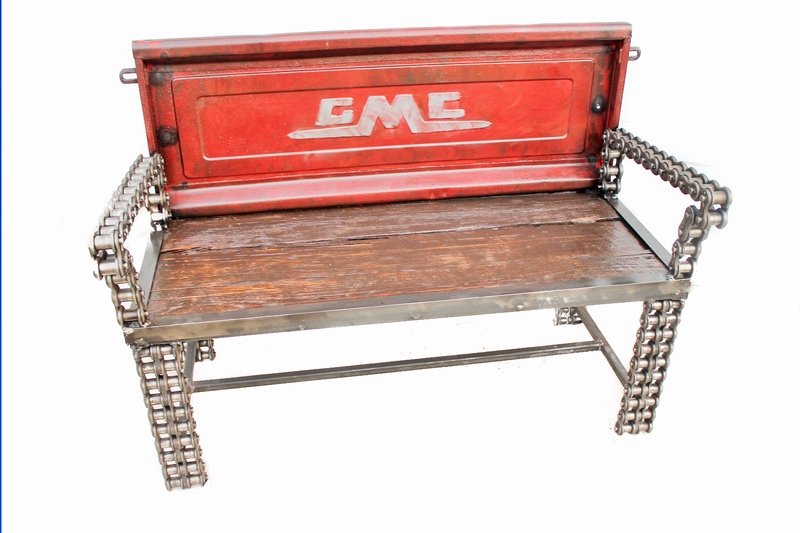 One of a kind custom made durable made right here in Texas with found objects. 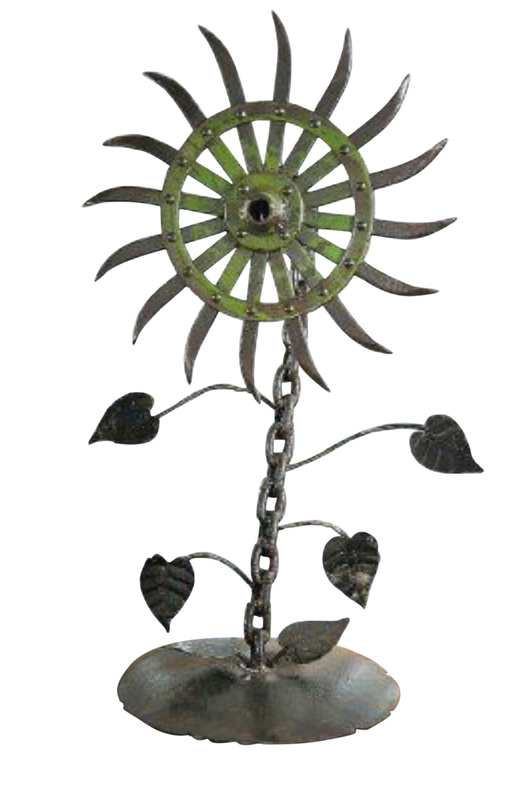 Upcycled repurposed scrap metal salvage material used to make this unique one of a kind garden art item. 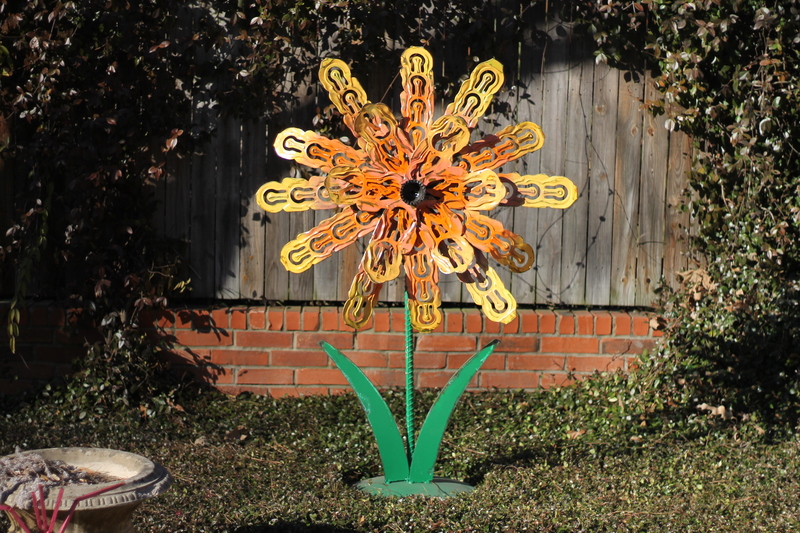 Can be used for patio yard decor in the front or back yard perfect accessory artwork for your rock or flower garden. 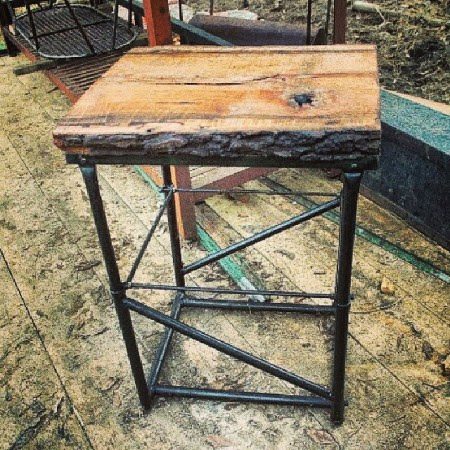 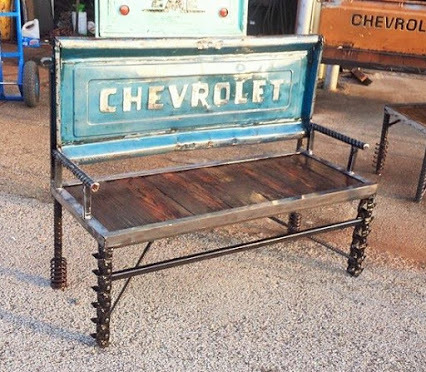 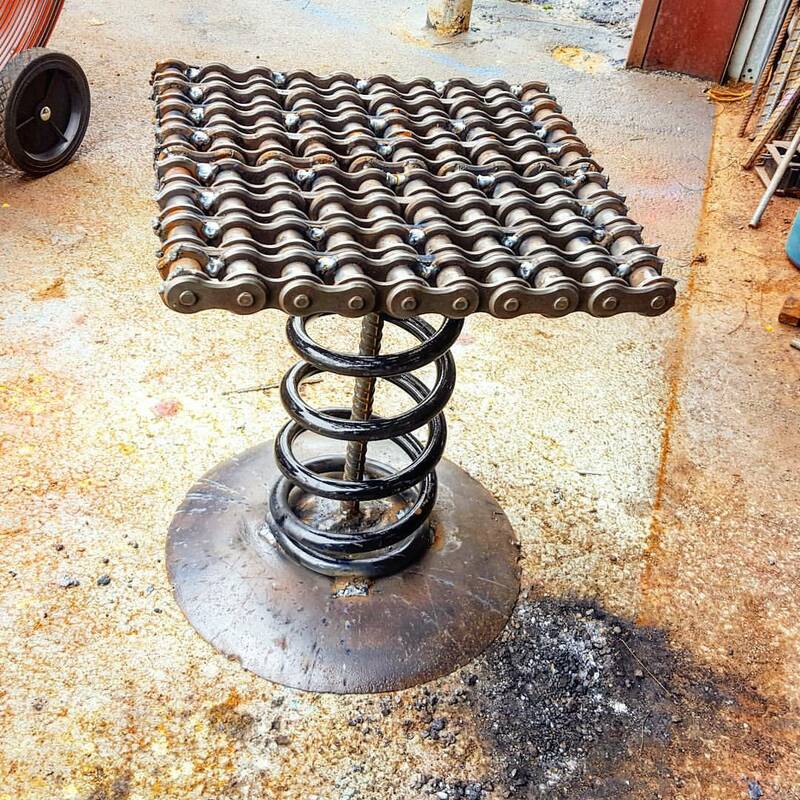 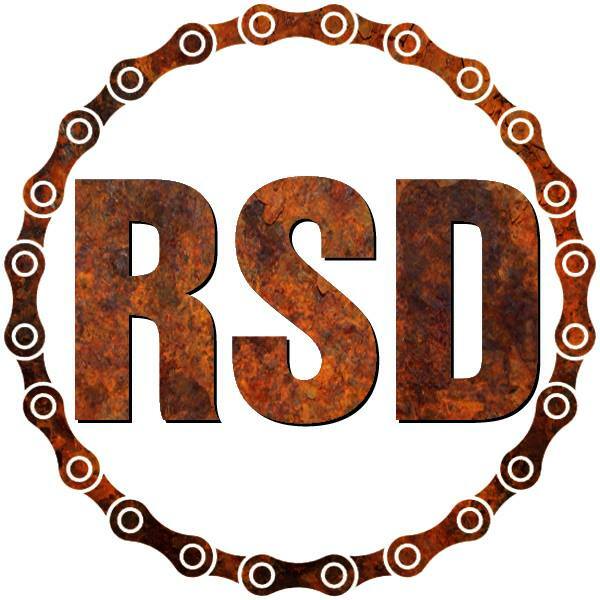 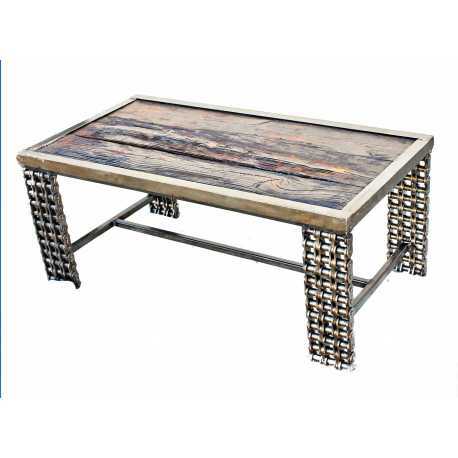 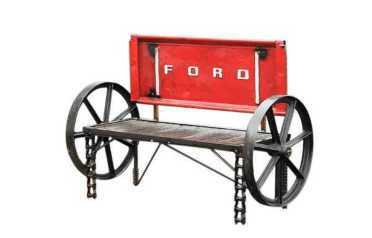 Man Cave Industrial Chic Rustic Truck Vintage Classic Car Part Furniture offered by Raymond Guest at Recycled Savage Design. 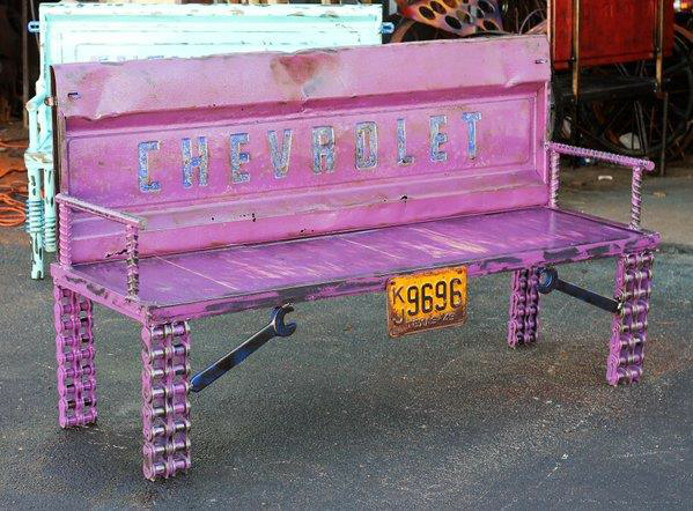 maybe it worked the east Texas oil fields when they were booming in the 1940 and 1950s. 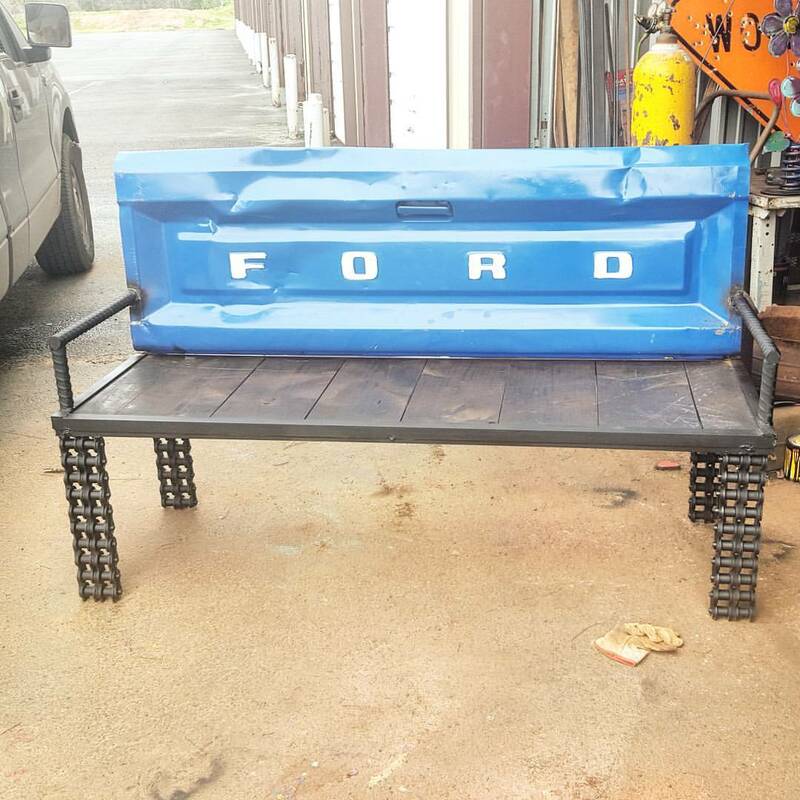 Haven’t decided what to use it for maybe a flat screen entertainment center. 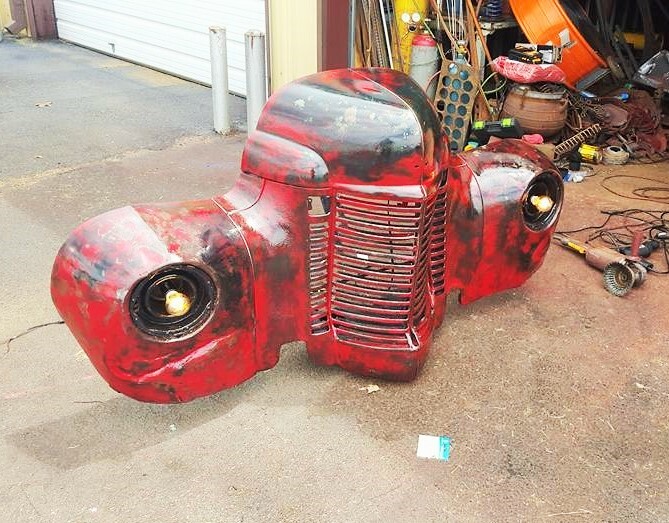 Lights work as well riding lights.